CV fraud: are candidates lying to you? Recruiters have always had to sift out embellished CVs. But why do HR professionals fall for fake degrees, and what can they do to guard against a dishonest applicant? “Tim* wasn’t an amazing performer, but he’d joined our HR team as a short-term contractor via an agency, and they claimed to mirror our background checking requirements. He claimed to be CIPD qualified and to have a first-class degree from the University of Bristol. As an alumnus myself, he didn’t strike me as ‘typical Bristol student’ – something I often joked about with him. Samantha* is just one of many HR professionals who has been caught out by employees’ fraudulent claims of degrees and other professional qualifications. 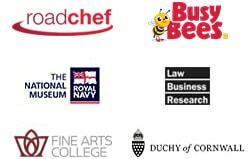 In January 2018, an investigation by the BBC’s File on Four programme found that more than 3,000 fake qualifications were sold to UK-based buyers by a single company in 2013 and 2014, with one British buyer spending nearly half a million pounds on fake documents such as master’s degrees and doctorates. CV embellishment is far from a new or uncommon phenomenon – 80% of 5,000 CVs analysed by the Risk Advisory Group in 2017 were found to have at least one discrepancy – but the internet is making it easier than ever for candidates to obtain fake qualifications. But, with only 20% of UK employers carrying out proper checks through the Higher Education Degree Datacheck (HEDD), is the problem growing? And how can HR professionals respond to the threat that fraudulent claims pose to their organisation? The reputational impact is becoming increasingly important as more cases are finding their way to the courts. In 2010, Rhiannon McKay was convicted of CV fraud and sentenced to six months’ in prison after falsely claiming to have two A-levels and forging a letter of recommendation. Last year, Jon Andrewes was sentenced to two years in prison after falsifying his qualifications to secure a job as a senior NHS manager. These lies could have been picked up by background checks, but many employers choose not to carry them out. “It could be that they don’t see the risk that employing the wrong person could pose to their business, they believe they can sense when a person is being dishonest, or they perceive the time it takes to carry out these checks as better spent on other activities,” says Armstrong. An employer who uncovers an instance of a fraudulent degree isn’t legally obliged to report the matter to the police, says Vieira, “but the moral position may be different. 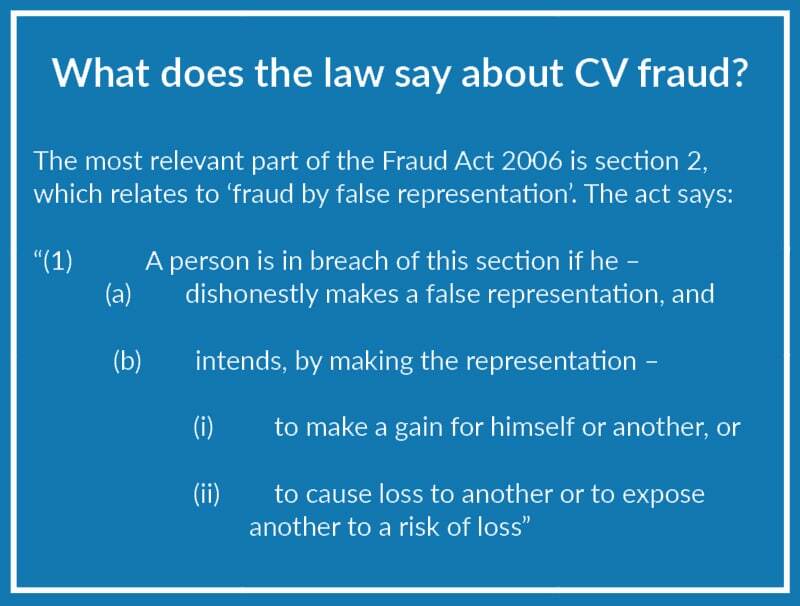 The police are only interested in criminal offences and, while obtaining, or attempting to obtain, a role by fraudulently misrepresenting one’s qualifications is technically an offence under the Fraud Act 2006, in reality, very little if anything will be done. “In practice, where a qualification is not required for a particular role, that is, where it is not a professional qualification but rather a preference imposed by the employer, then the likely effect of qualifications fraud is likely to be limited to a poor performing and dishonest employee,” he says. HEDD’s recommendations for employers include writing and distributing a policy on fraudulent qualifications; that background checks be made a standard part of the hiring process; and that employers not only act against those who commit degree fraud, but also record and share evidence of fraud with bodies such as the HEDD itself.